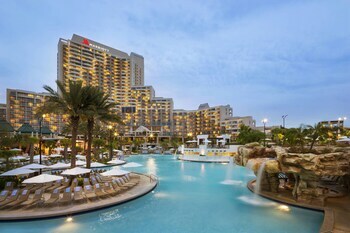 Orlando is busy year-round, so plan your getaway well in advance. Tourist season peaks from late May to Labor Day, when the youngsters are on summer vacation. 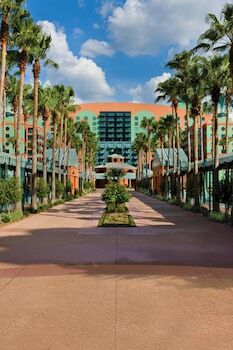 Families also flock to Orlando in the weeks before and after Christmas and Easter, but with a little preparation (sunscreen, bottled water) you can brave the long lines and heavy traffic. If you can take the kids out of school, consider less popular times, such as right after Labor Day through the week before Thanksgiving, or post-Thanksgiving until mid-December. Keep an eye out for large conventions -- they can affect rates any time of year. Weather-wise, Florida means sunshine, but don't be alarmed by a mid-afternoon drizzle. Summer's a scorcher, and humidity drives the heat index well into the 100s. Want to see alligators stalk their prey in the wild? At night? Then get your thrills here, where visitors glide through lagoons aboard a 17-seater airboat. Feel like a real cowboy in the deep Florida wilderness at this overnight horseback safari. A bona fide cow hunter teaches amateurs the art of rounding up cattle. This kid-friendly thriller is the closest you can get to skydiving without, well, skydiving. Get that free-fall-feeling in the huge indoor simulator, where there's plenty of padding to catch you. Airplane-o-philes will get their kicks here. Climb aboard a real B-17 Flying Fortress, or take a guided tour to see more than 40 rare and vintage aircraft. This American gastropub has won the affection of locals. Bring your appetite: the plates are stacked with delish eats such as shrimp and grits, steak frites (with truffle fries!) and house-made pasta. 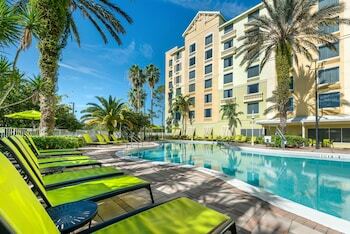 Searching for excellent-value Orlando deals? Save time by letting the experts at Orbitz package up your hotels and flights. Pick out your desired airfares, hotels, rental cars and experiences for savings of about $857*! Combining your bookings is one of the easiest ways you can save money. And that's not all — you have loads of flexibility. Mix and match from 500 partner airlines and no less than 500,000 accommodation options globally. With unlimited options to choose from, our packages let you create that vacation you've been dreaming about. We know... rewards programs are a dime a dozen. But who doesn't want those perks and extra savings? We've invented an easy program that rewards you quick! To collect instant Orbucks, just keep on booking with us! 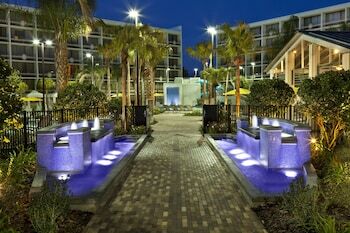 Obtain gold or platinum status for perks and added extras at all Orbitz Rewards VIP Hotels. How? Just book four nights for gold membership and 12 nights for platinum in a calendar year. And how do you redeem Orbucks? 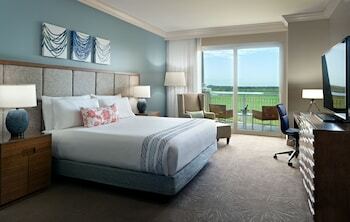 It's simple — just use your Orbitz Rewards points on your next booking. Losing your way in a foreign place sounds romantic. But if you'd prefer to get to Orlando on the first try, listen up. You'll find it approximately 220 miles southeast of Tallahassee, the state capital of Florida, and around 25 miles southeast of Mount Dora. This is an area of Central Florida that around 240,000 people live in. You will have a great time while learning something new at Orlando Science Center. The many exhibits and hands-on displays ensure fun for the whole family. Want to keep the good times rolling? Appreciate the combination of meaning and beauty that only art can express at Orlando Museum of Art. But that's not all! Music lovers should definitely check out a show or concert at The Social, one of the area's most cherished local music venues. Nothing is as fun as exploring a new destination with your own vehicle. 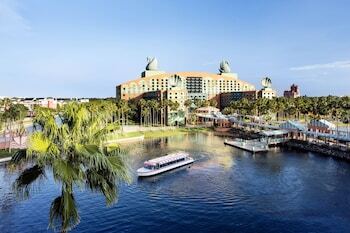 If you're after car rentals in Orlando, Orbitz is here to help. If your flight lands at Orlando International Airport, you can pretty well rent a car in the arrivals hall. You'll find Enterprise just a few minutes walk from the terminal. EZ Rent-A-Car is another good option. Renting a car right from the middle of the city is a convenient option if you're staying nearby. Look into Budget, which you can find at 306 North Rosalind Avenue. Avis at 306 N Rosalind Ave is another establishment you can check out. You won't have any issues finding a place to lay your head. 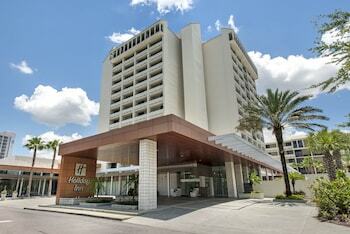 Orbitz features 105 hotels in Orlando. Lock in your room right now for the best deals and amenities. On the hunt for snazzy accommodations? 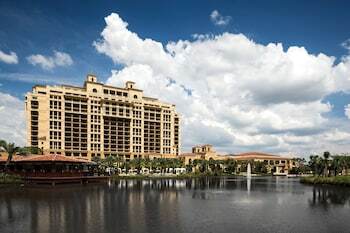 You'll feel like a film star if you decide to stay at the Universal's Loews Portofino Bay Hotel or the Universal's Hard Rock Hotel ®. 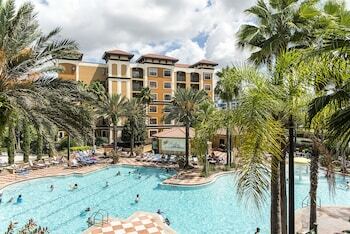 That said, if you'd rather save your bucks for amazing Orlando adventures, try out the Quality Inn & Suites or the La Quinta Inn Orlando Airport West. Taking a break in Orlando? Stow your tray table, put your seat into the upright position and get ready to hit the tarmac at Orlando International Airport (MCO), the nearest airport. The jumping-off point to your next amazing trip, the terminal is 9 miles southeast of the downtown area. Just 25 miles away from Orlando is DeBary. 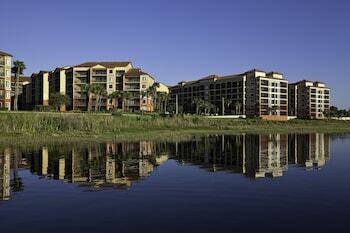 This area allows access to the outstanding attraction, the Central Florida Zoo. Spend the whole day here! Blue Springs State Park is another attraction that's worth a visit. Whether you've had a change of heart or your plans have shifted for another reason, we won't whack you with a fee if you need to cancel or alter your booking.^ As we can't speak for your selected hotel or airline, it might be wise to check with them as soon as you can.